A little dancing on Christmas Eve. No my form isn't great here on the dip…but we are out of practise and need more lessons to properly show off our Argentine Tango. 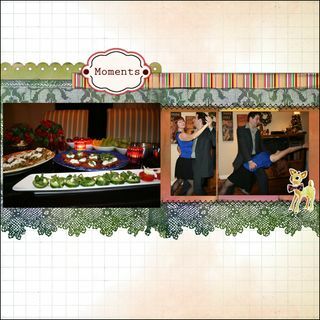 We prepared a nice light contemporary Christmas meal focusing on fresh veg, fruit and some new appetizers inspired by Jamie Oliver. Later champagne in front of the fire. Pretty much a perfect evening. 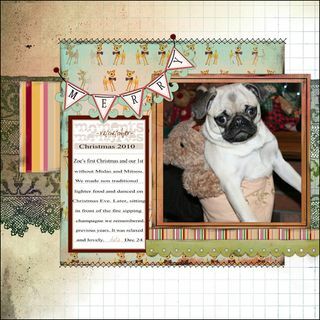 Two page layout made with my Christmas Memory Mixer PDQ papers.